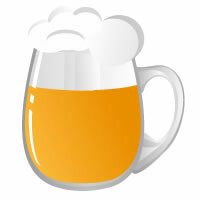 All Grain Helles Bock homebrew recipe. This homebrew recipe uses the following ingredients: Pilsner - US, Munich - Light 10L - US, Victory Malt - US, Melanoidin Malt - US, Tettnang Hops, Irish Moss Hops, Yeast Nutrient Hops, White Labs So. German Lager WLP838 Homebrew Yeast, Wyeast Munich Lager 2308 Homebrew Yeast, White Labs German Ale/Kölsch WLP029 Homebrew Yeast.